After the biopic Bohemian Rhapsody took Hollywood by storm, Queen and Adam Lambert will grace Tinsel Town’s elite with their musical stylings at the 91st Academy Awards ceremony. Bohemian Rhapsopdy is nominated for five Oscars across the categories of Best Picture, Best Sound Mixing, Best Film Editing, Best Sound Editing and Rami Malek got the nod for Best Actor for his portrayal of the late, great Freddie Mercury. According to Box Office Mojo the film has raked in $743,706,115 worldwide to date. It’s the highest-grossing music biopic of all time, and with viewings still being held as well as a sing-along experience set to hit cinemas soon, that number is set to keep rising. Although some critics didn’t much like the movie, it’s doing well at award season too, picking up two gongs at The Golden Globe Awards on January 6. So, it only seems fitting for the remaining members of the ground-breaking band to get the chance to attend the Oscars ceremony on February 24, in LA, and perform too. The news was confirmed on the Oscars’ official Twitter account. Is this the real life? Is this just fantasy? 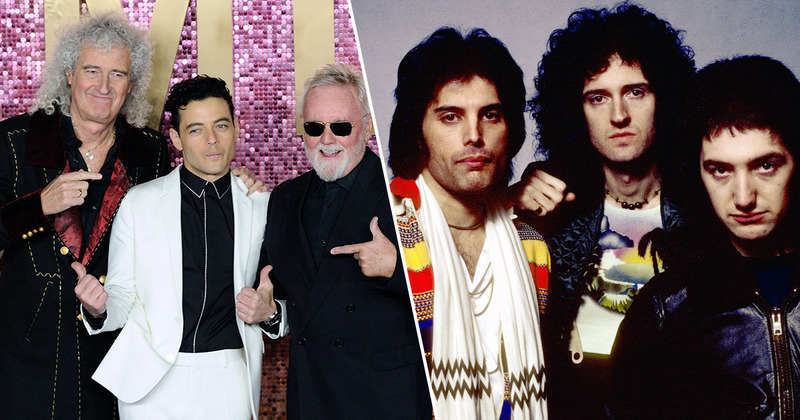 We welcome @QueenWillRock and @adamlambert to this year’s #Oscars! Former American Idol contestant Adam Lambert has performed with Queen for the past eight years, including world tours in 2014 and 2018, and he will be joining the original line up and filling Freddie’s shoes. Speaking to People last year, the singer revealed that he was ‘really nervous’ when he was first asked to take on the role of front man once occupied by Mercury. Not only did I have to make sure my voice held up and I know all the words… but it was also the perception of fans; I definitely had some concerns. This is not my music that I wrote. This is me, as a guest, with one of the greatest rock bands of all time, singing the songs that one of the greatest rock singers of all time brought to life. Freddie is irreplaceable. There’s no way to compare to him. It was always my hope that audiences would understand that I’m up there just excited to sing great music that everyone knows. Hopefully it’ll be a successful night and will honour Freddie’s legacy, both on stage and in terms of collecting gongs.